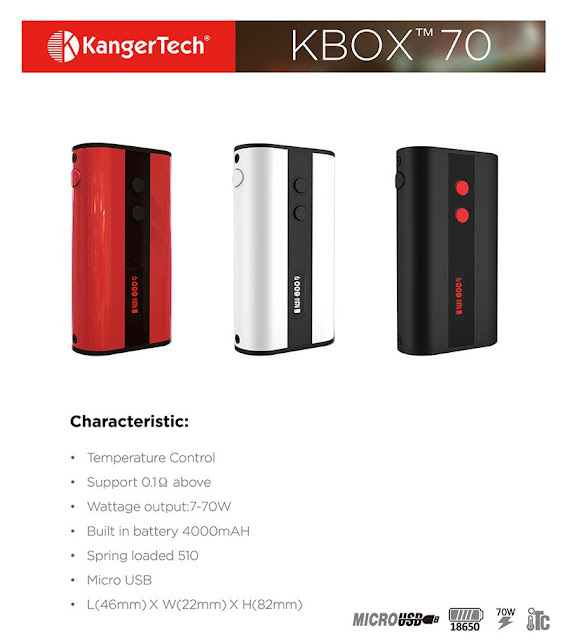 A new creation in Kanger's next line of KBOX series, the KBOX 70W TC Mod can provide the maximum 70 watts output with 4000mAh built-in battery. And it supports temperature control modes, including Nickel and Titanium. The design of built-in battery brings great convenience of replacing cells, just easily charging via a Micro USB port. The KBOX 70W TC Mod is easy to transport and access for its lightweight zinc and aluminum alloy material. Enjoy a powerful and versatile vaping experience on this portable and compact temperature control device!